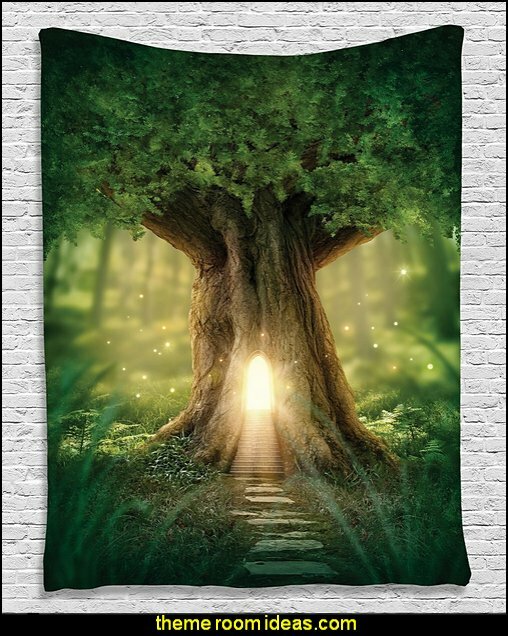 Create a magical fairytale hideaway and bring fantasies of the forest, right to your bedroom and create your very own enchanted woodland themed bedroom. 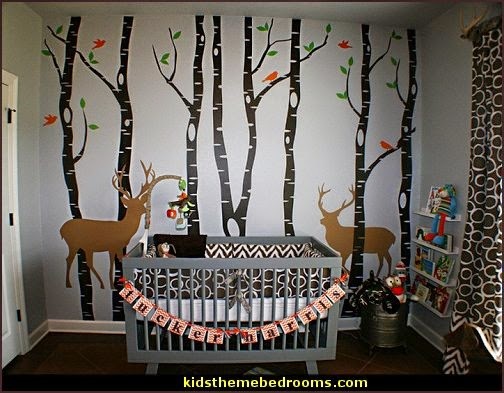 There are quite a few different decorating options for the woodland theme. 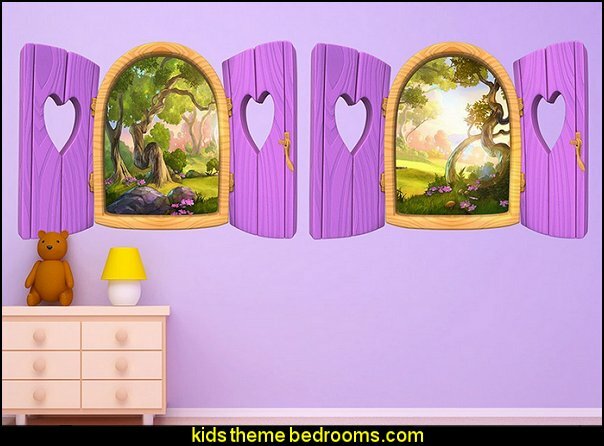 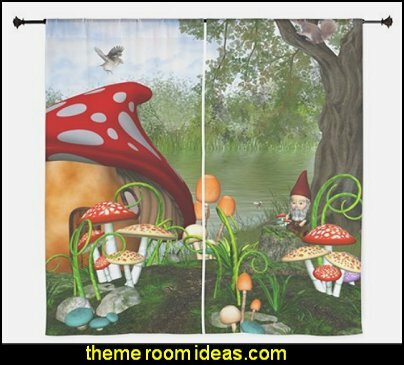 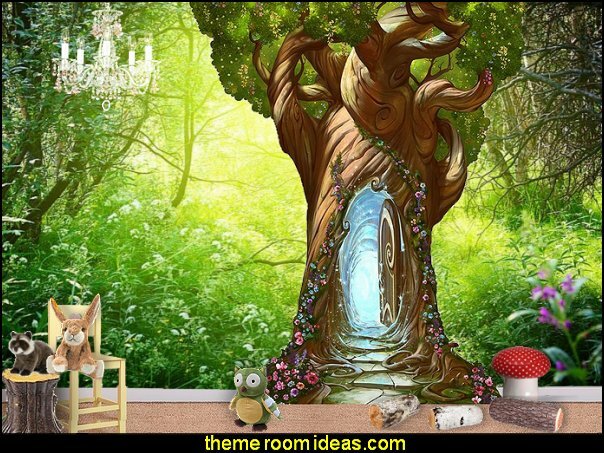 Fairy forest or Snow White theme for your little girl, preteen or even big teen girl. 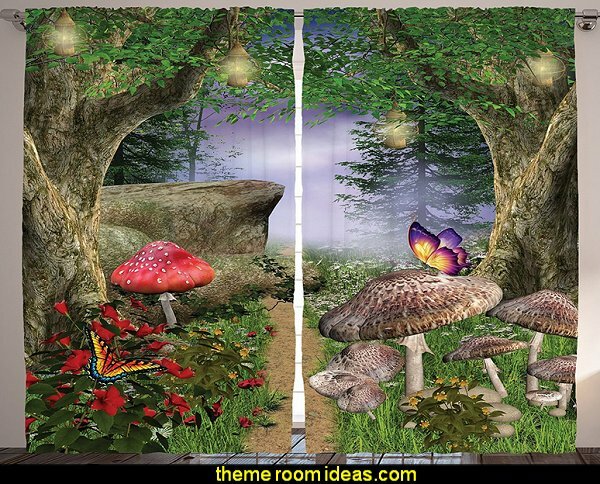 Decorate the enchanting woodland fairy theme cottage style room with whimsical furnishings, forest animals, rustic furniture, trees and flowers with fluttering fairies and other mythical creatures. And for the little children, what about a fun Teddy Bear picnic in the forest with friendly forest friends. 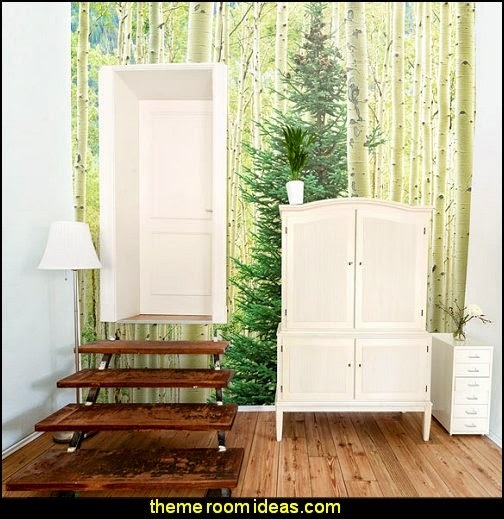 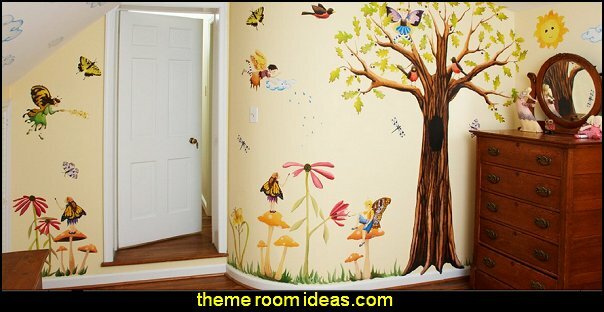 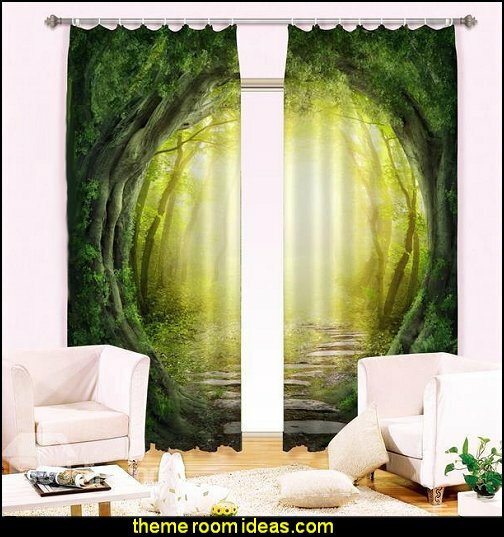 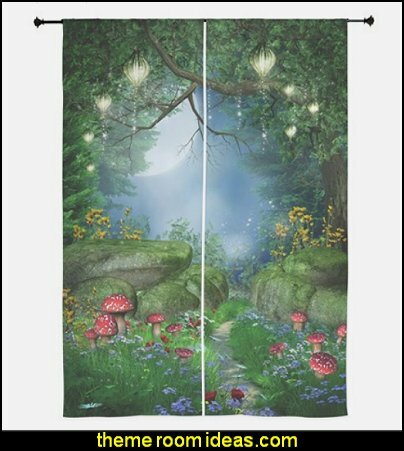 Start your fairytale adventure with this floor to ceiling flowery Enchanted Tree Door wall graphic. 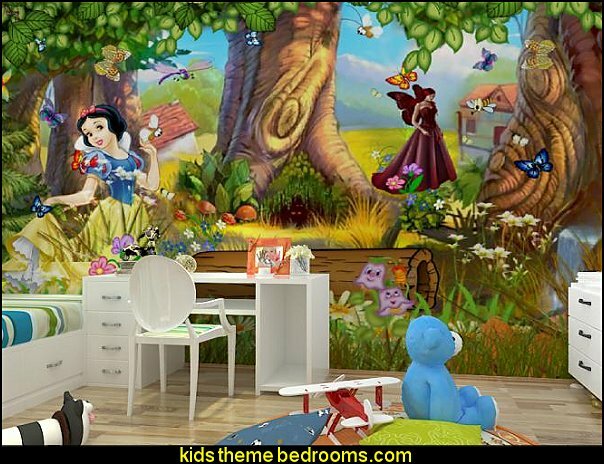 Transport yourself to any magical land where all your dreams can come true with this large wall decal! 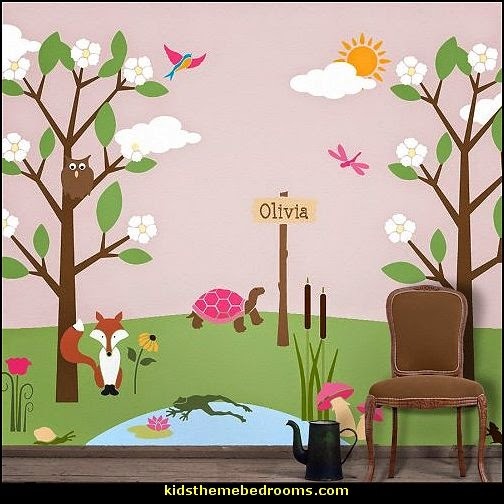 This beautifully illustrated wall art is perfect for a nursery, playroom, classroom or library. 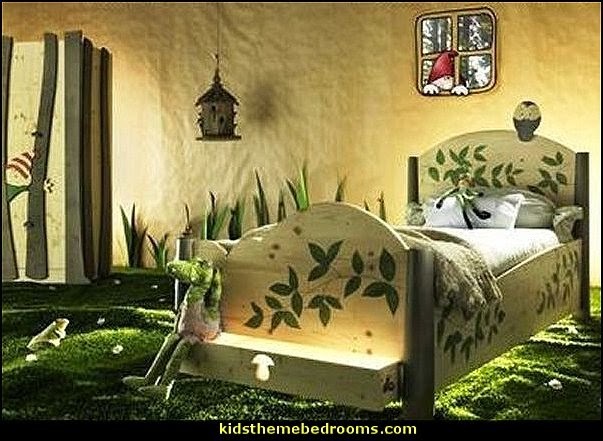 Perhaps a fairytale castle theme bed in the enchanted forest. 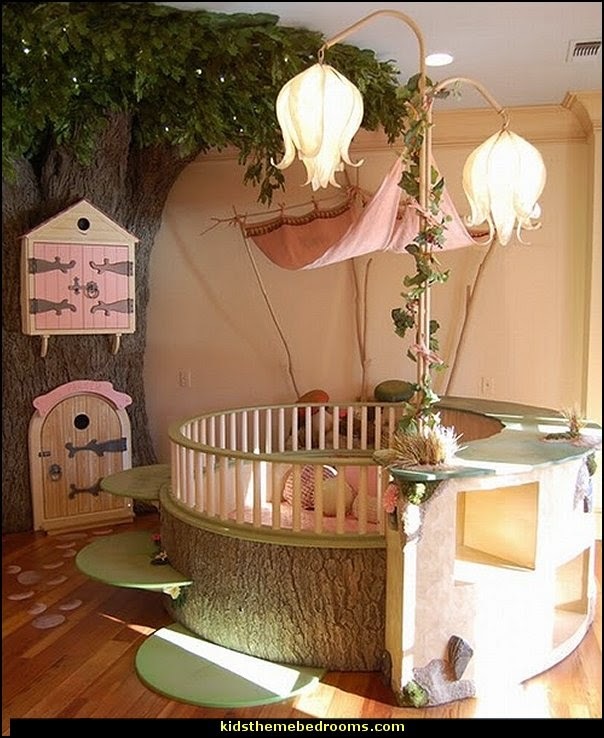 For the baby nursery woodland add a happy hoppy frog pond amidst the forest trees. 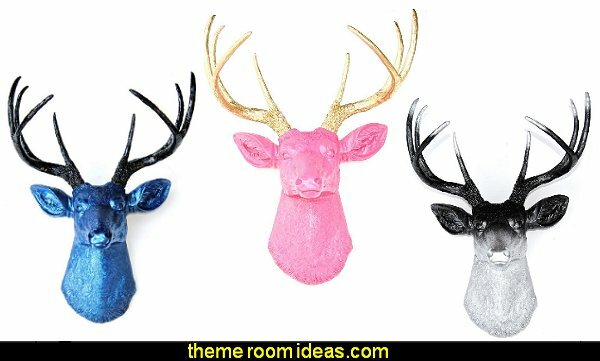 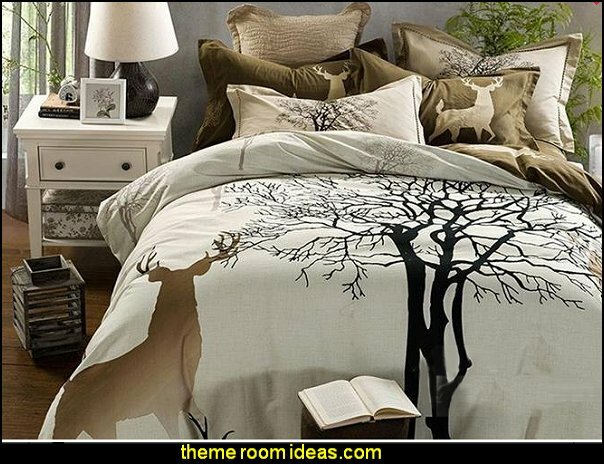 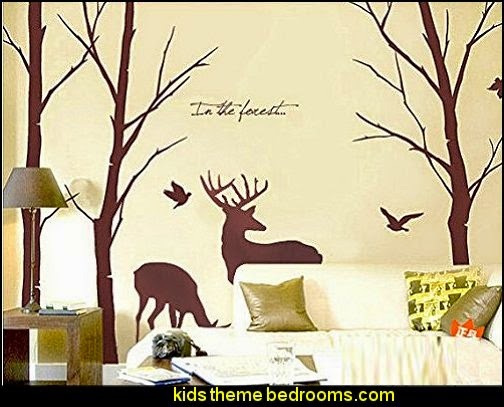 For the boys woodland theme mix a little from the outdoor theme bedrooms and the hunting lodge Northwoods theme bedrooms to create your own unique woodland forest themed bedroom, filled with animals of the wild, rustic decor and novelty accessories. 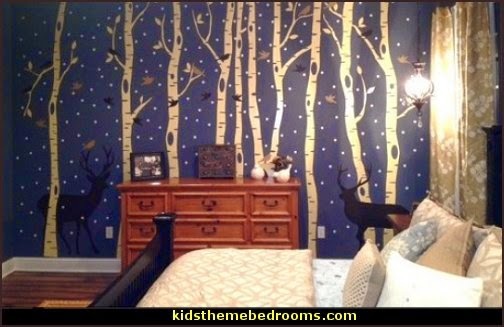 For the adults, a crispy white wintry forest themed bedroom. 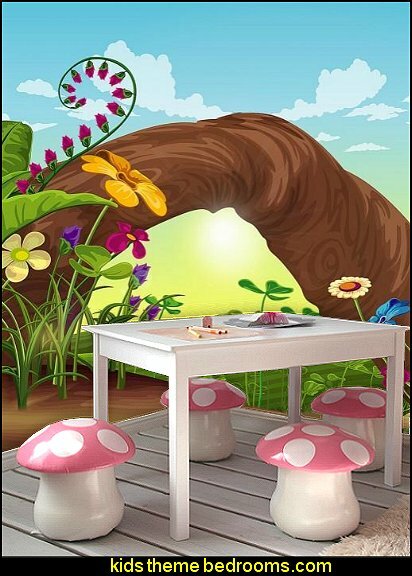 This pink polka dot mushroom chairs are made for both style and comfort. 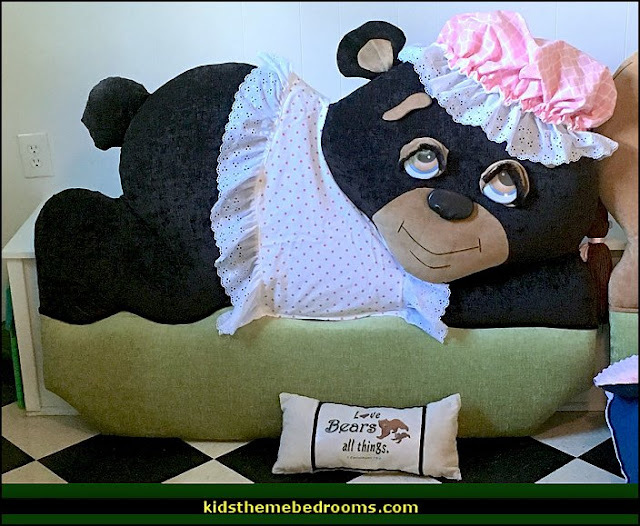 It has padded soft cursion for her to sit on for activities. 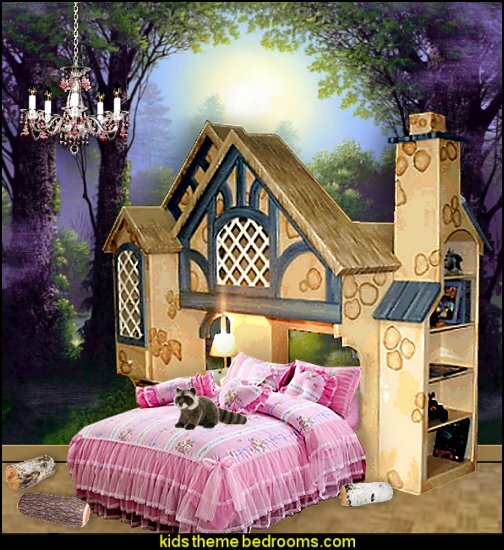 The beautiful pink and polka dot pattern also serves as a great room décor item, it can be easily fitted into any girls room! 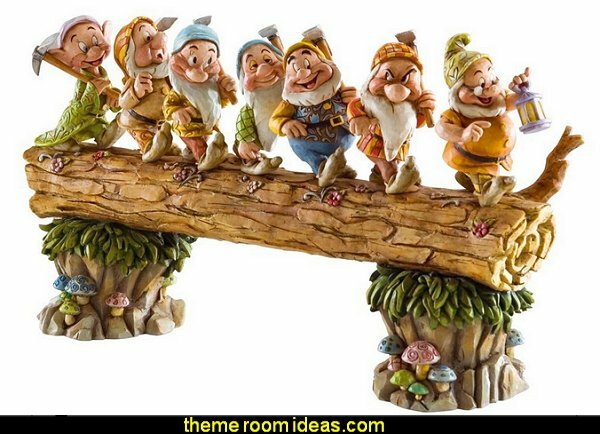 Disney Traditions by Jim Shore Snow White and the Seven Dwarfs figurine "Homeward Bound"
Trooping across a fallen log that serves as a natural bridge from one side of a ravine to another, the Seven Dwarfs take their “Heigh-Ho” hike home from a hard day’s work at their diamond mine. 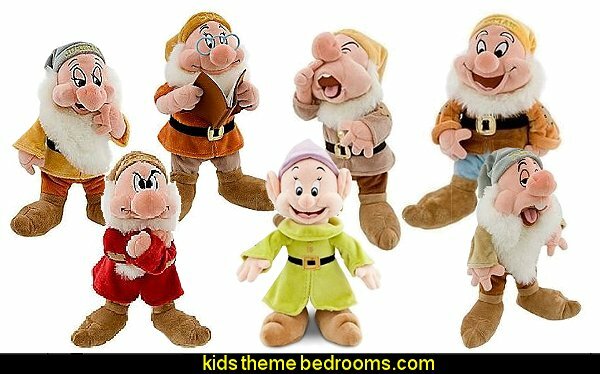 Led by affably absent-minded Doc, Grumpy, Happy, Sleepy, Bashful, Sneezy and Dopey - bringing up the rear and endearingly out of step, as usual - are the diminutive heroes of Walt Disney’s Snow White and the Seven Dwarfs. 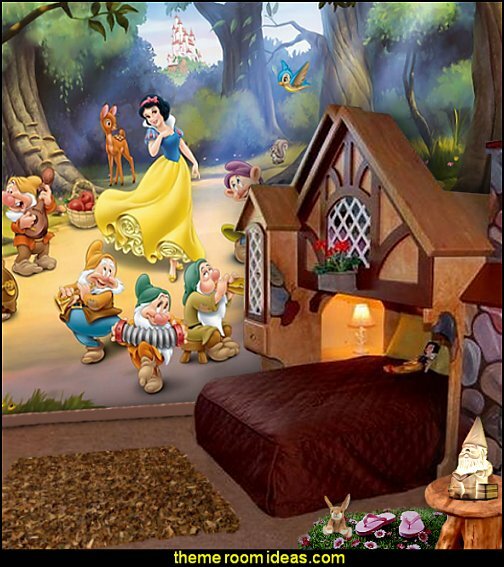 This intricately sculpted figure features a new but utterly authentic interpretation of these cherished Disney characters, lovingly crafted by acclaimed folk artist Jim Shore. 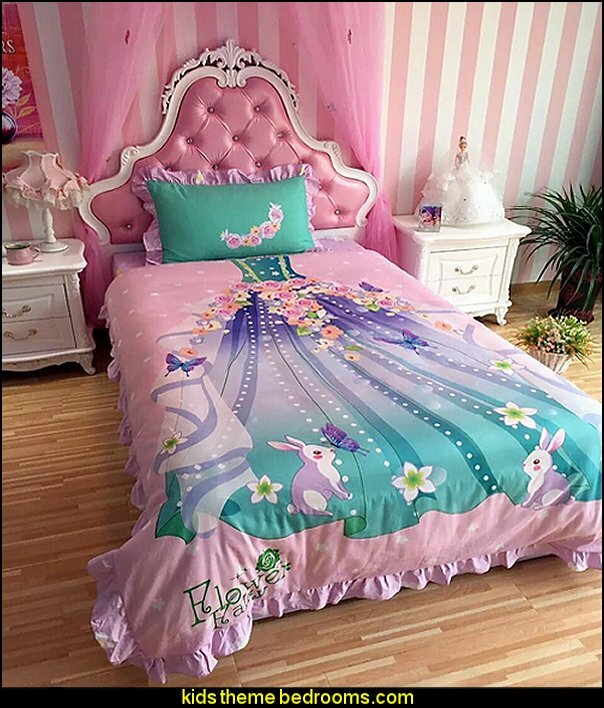 The timeless designs and vibrant personalities of the most delightfully devoted protectors a princess ever had are vividly portrayed, incorporating Jim Shore’s traditional imagery and signature color palette. 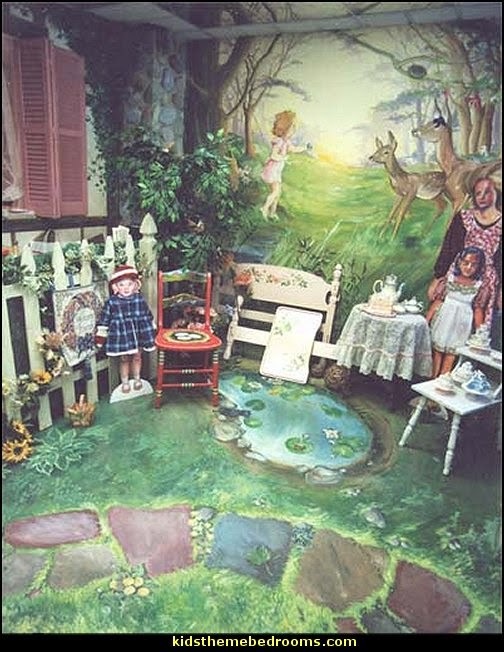 This elaborate, hand painted sculpt presents all seven of the loveable little men, each with a unique design embellishing their classic costumes, incorporating quilt-inspired patterns, country-style ornamentations and rosemaling motifs. 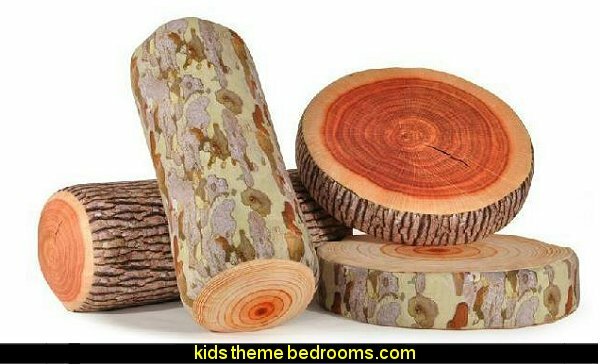 Looking as if it was chiseled from wood—a quality especially apparent with the woodland log - the hand-hewn appearance is a perfect fit with the Dwarfs, who themselves happen to be expert woodcarvers. 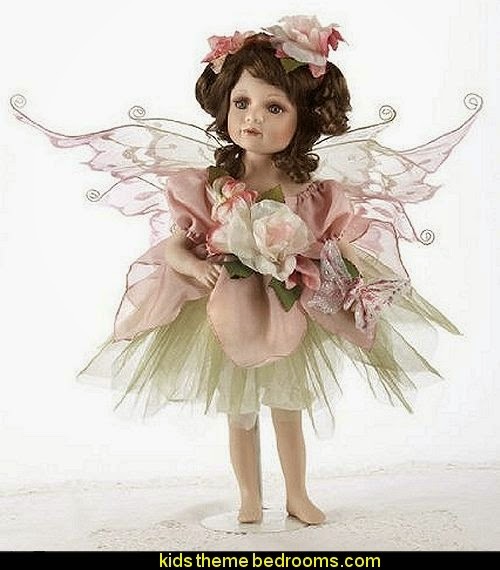 The antiquated appeal is perfect for the charming figures from this animated fairy tale. 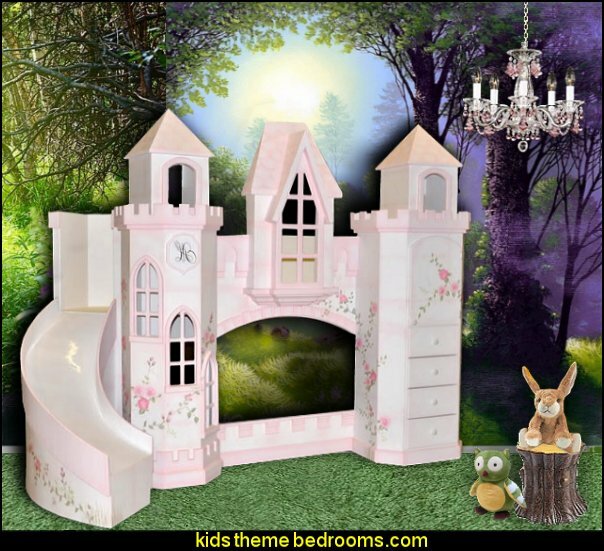 Cottage Bunk Bed was designed in a fairytale and made for your little one! 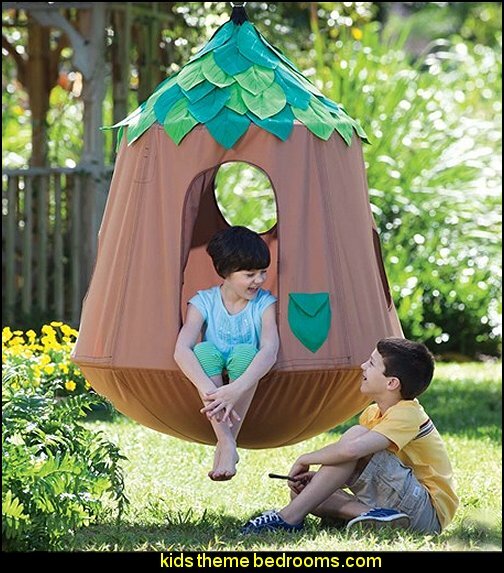 Featuring gable roofs, chimney bookcases and gridded doors over storage spaces. 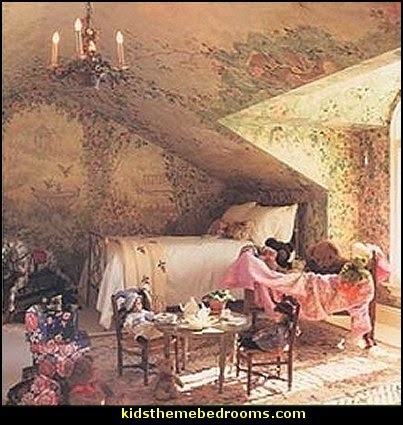 The cozy and comfortable loft is accessed by the included ladder. 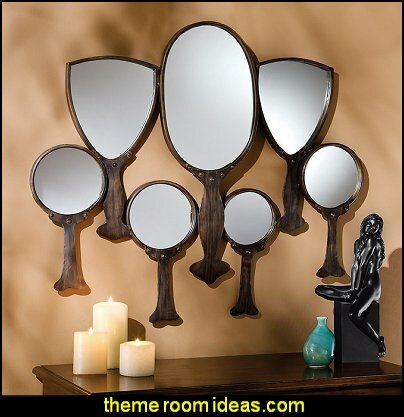 Available in your choice of a Twin over Twin or Twin over Full. 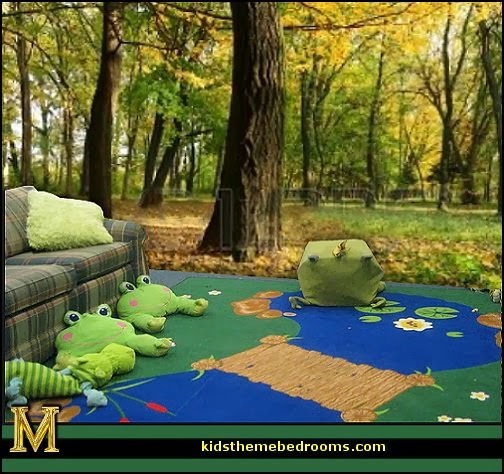 Daisy grass mat - Individual pieces snap together to cover a larger area. 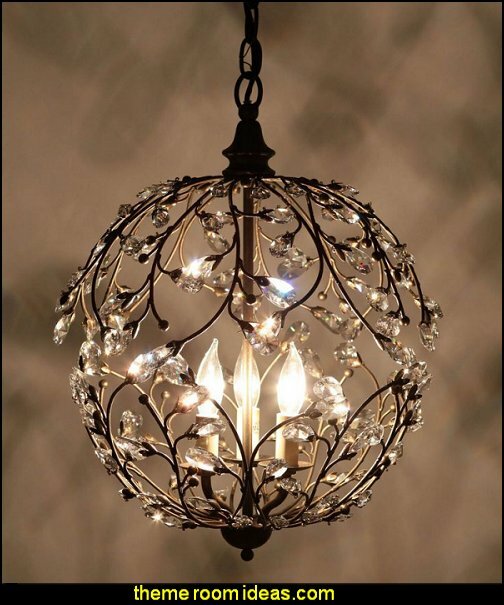 this crystal chandelier adds floral-inspired drama to your home. 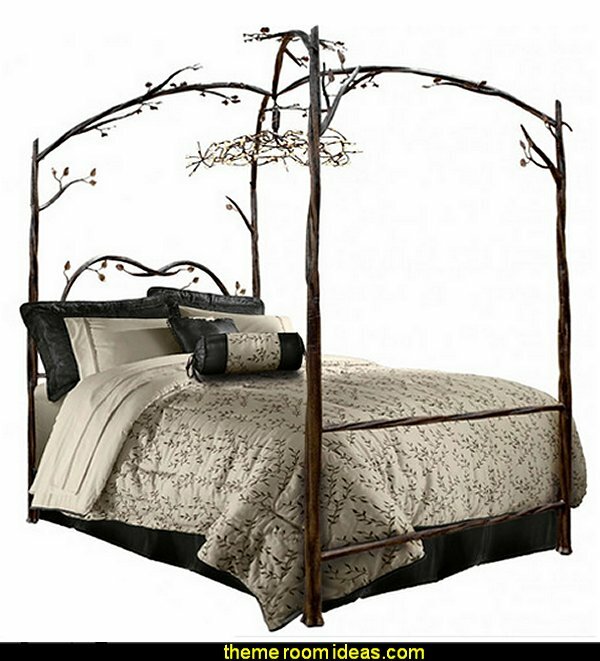 The bronze-finished vines feature delicate crystals that catch and softly reflect the light. 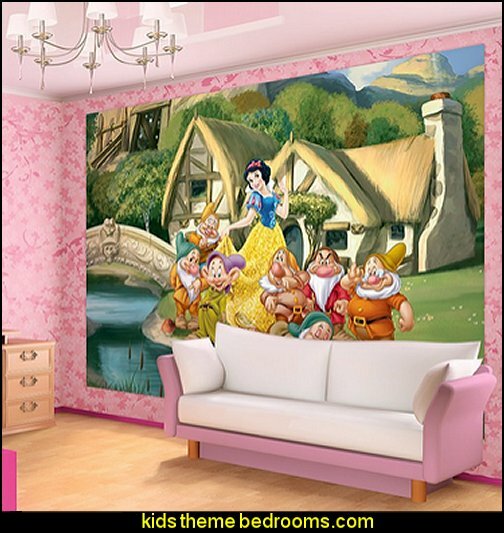 Heigh-ho, heigh-ho it's off to work we go! 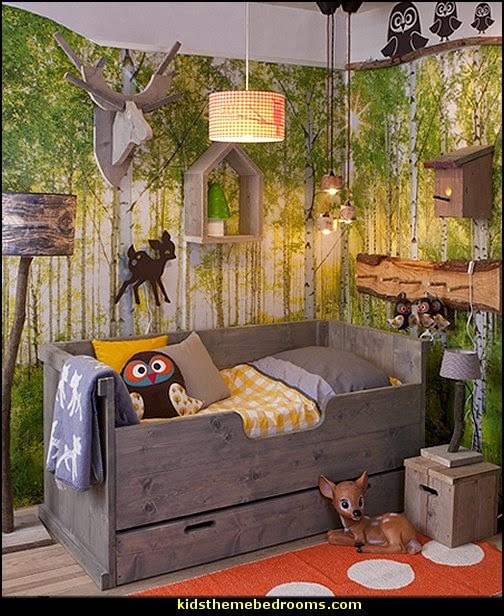 Twisted and textured timbers, free-flowing branches with hand forged leaves. 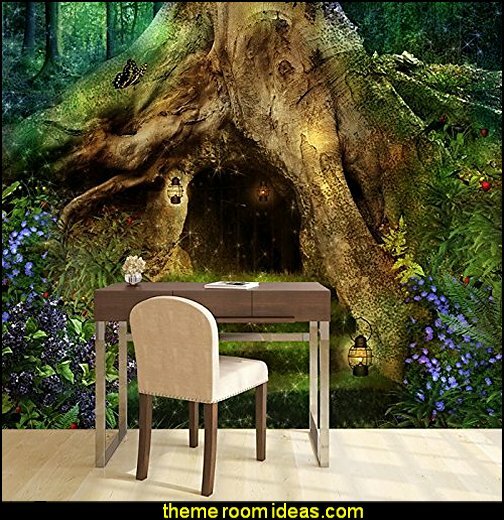 Fairytale forest full of magic and charm. 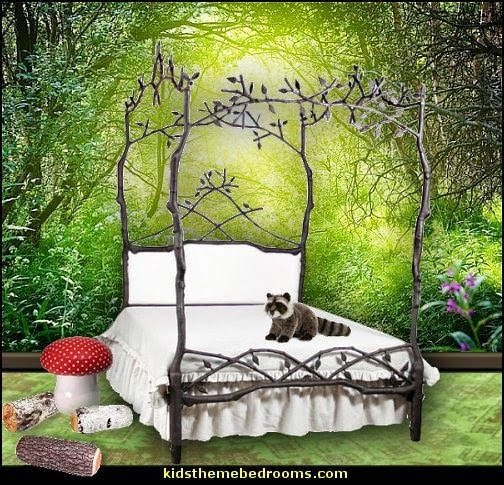 Each Corsican bed is made by hand, painted by hand and powder coated. 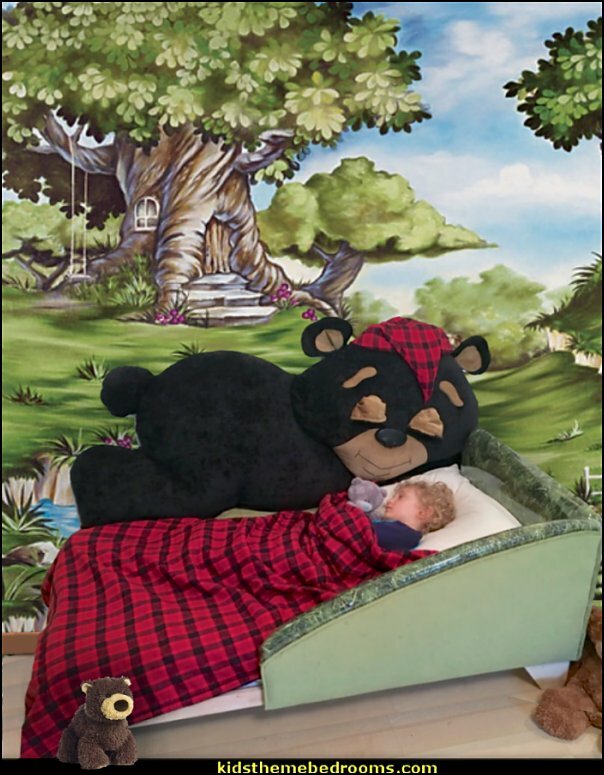 This bed is heirloom quality which means it is passed down through the family rather than left out at the curb on garbage day. 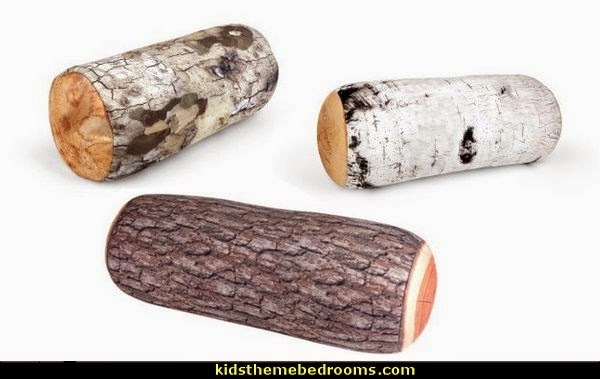 Now you can sleep like a log when you relax your head and neck on this log shaped pillow. 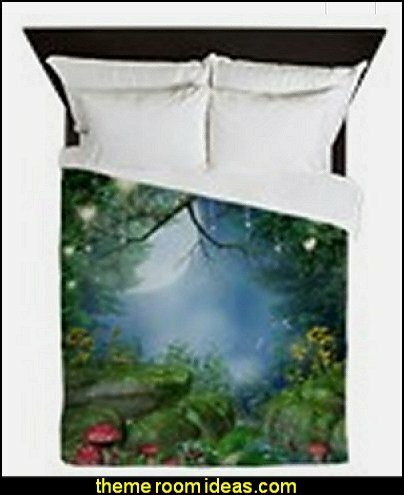 Bolster pillow features realistic three dimensional print. 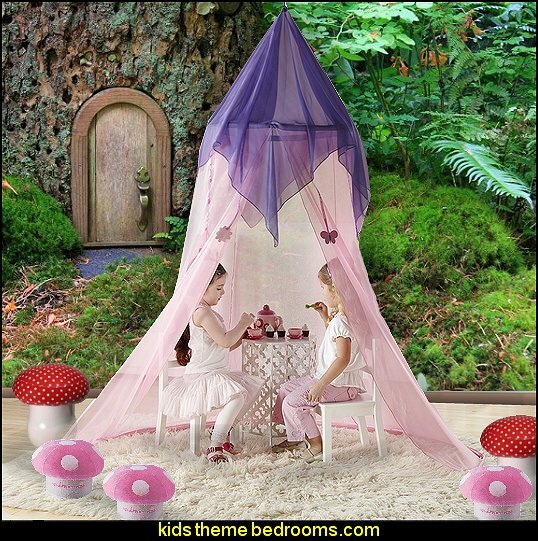 Slip this tent around a twin-sized mattress to create a magical night-scape. 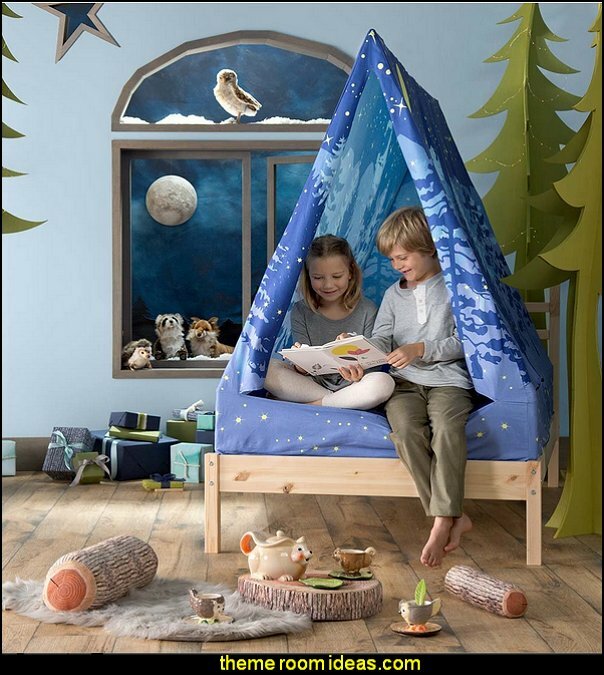 The A-frame tent sparkles with starlight powered by interior LED lights (3 AAA batteries-not included). 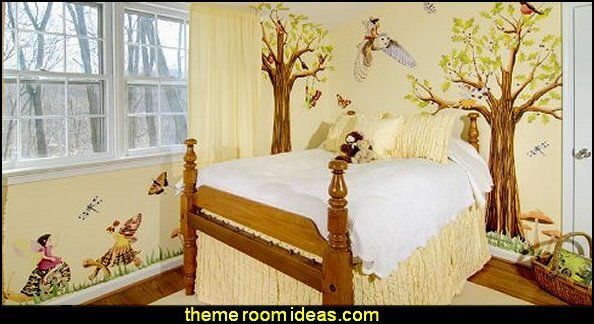 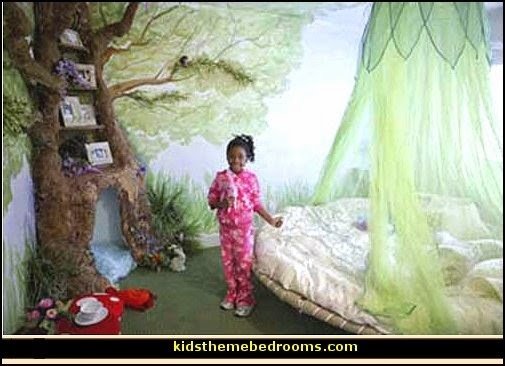 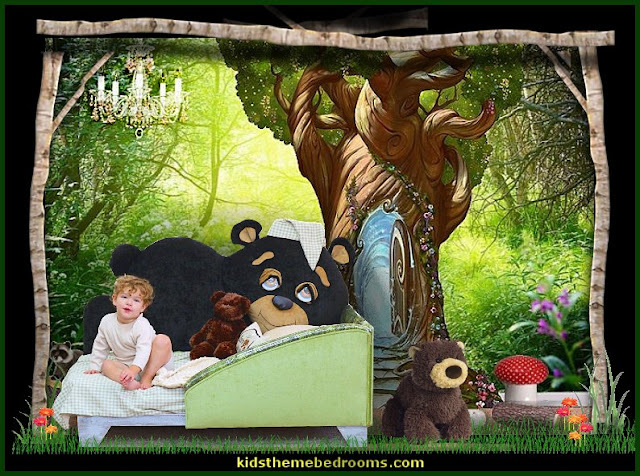 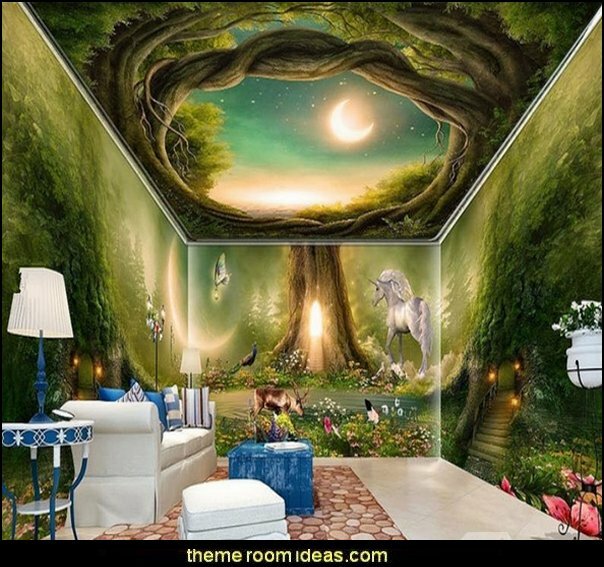 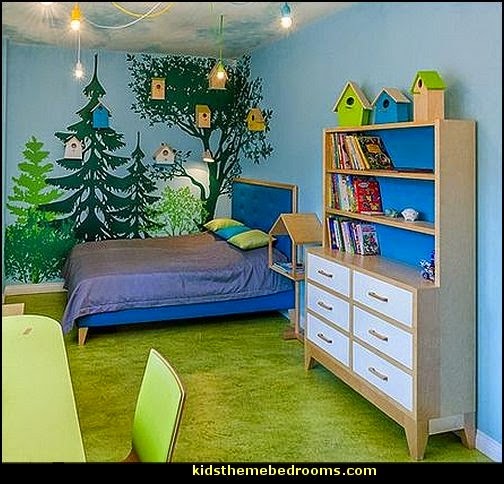 Add a touch of extra whimsy to the fairy woodland themed bedroom. 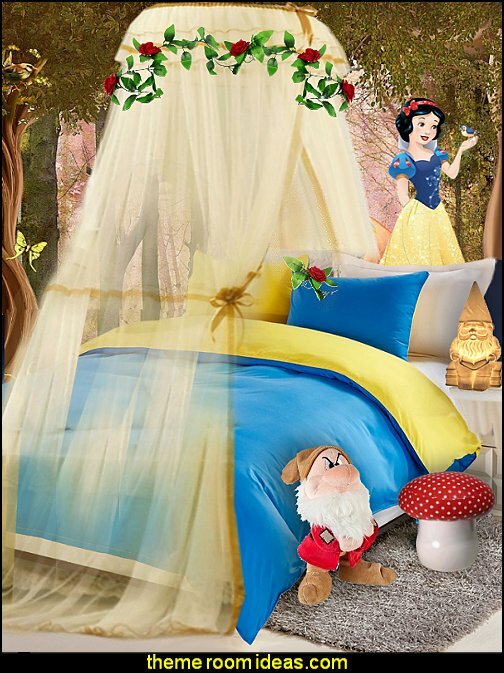 Accent your fairytale bedroom with regal princess decor and magical wizard theme decor. 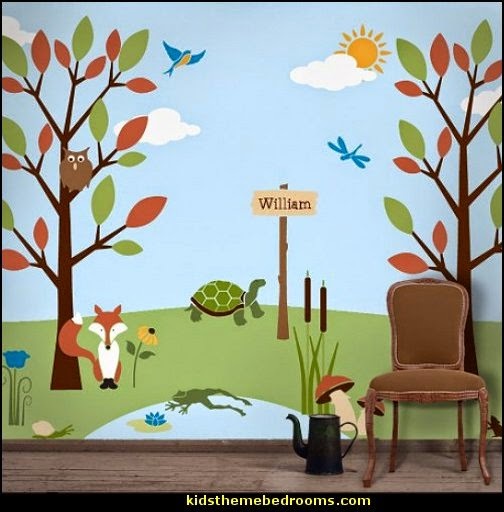 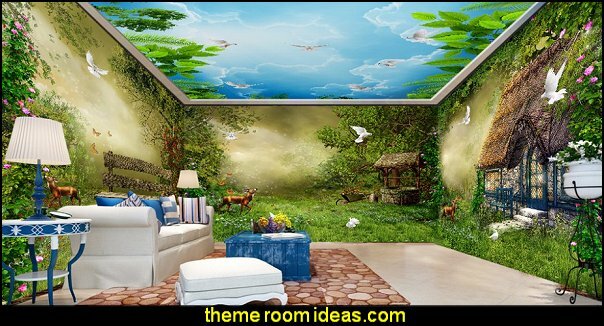 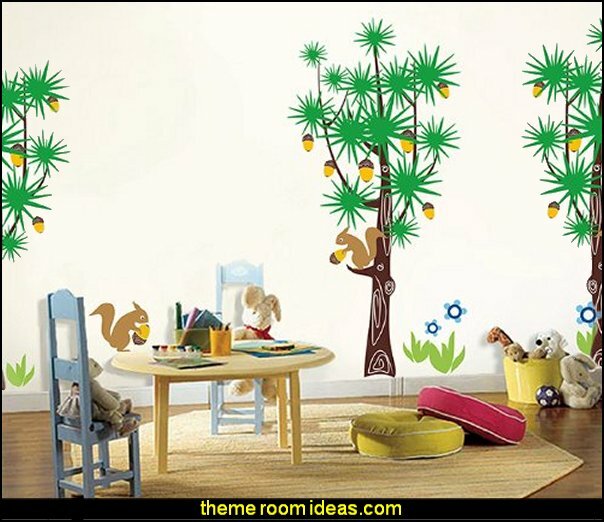 Add more fun to the room with friendly woodland animals, unicorns surrounded with woodland plants and flowers. 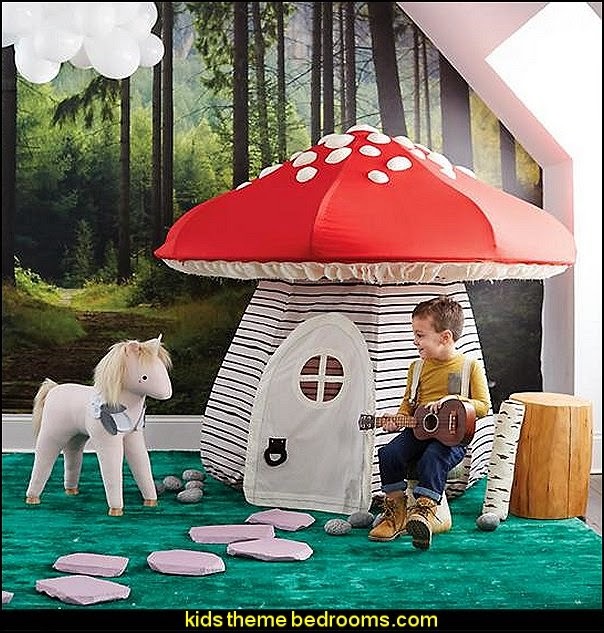 And to really give your bedroom a unique touch, bring in knights in shining armor, friendly dragons ... 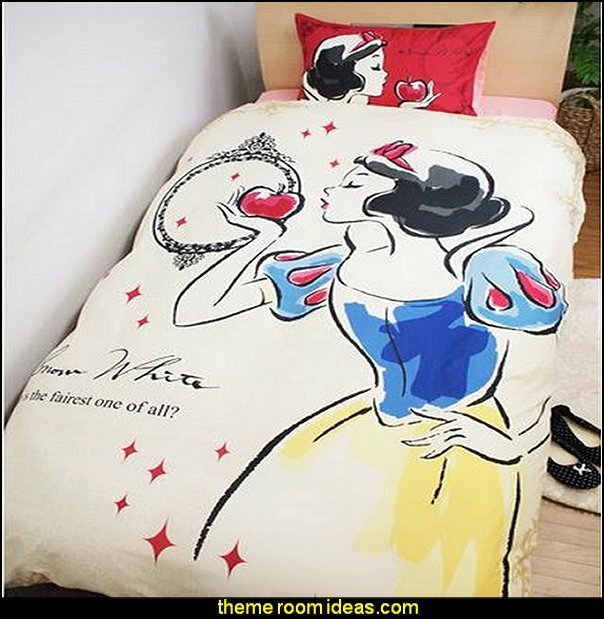 Snow White ... the creative possibilities are endless. 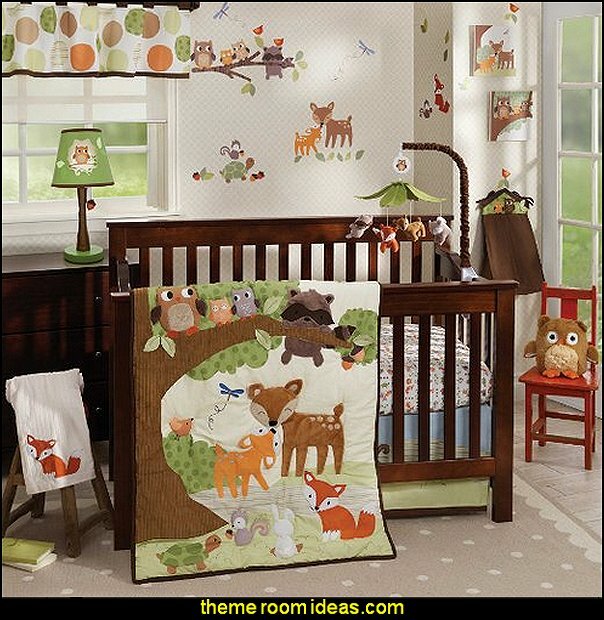 Take a whimsical trip to enchantment with our Charming Forest Six Piece Crib Set. 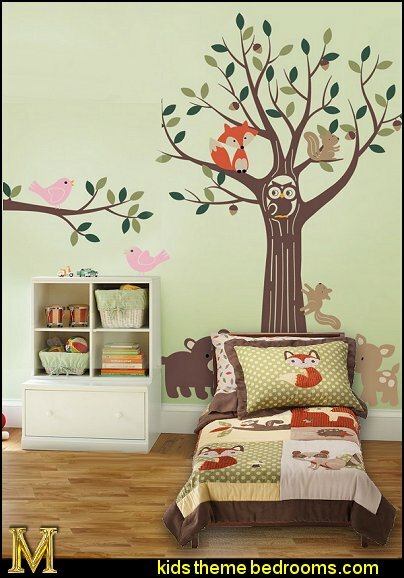 Soft Orange and serene Green in triangles and tree line print surround your baby's new woodland friends. 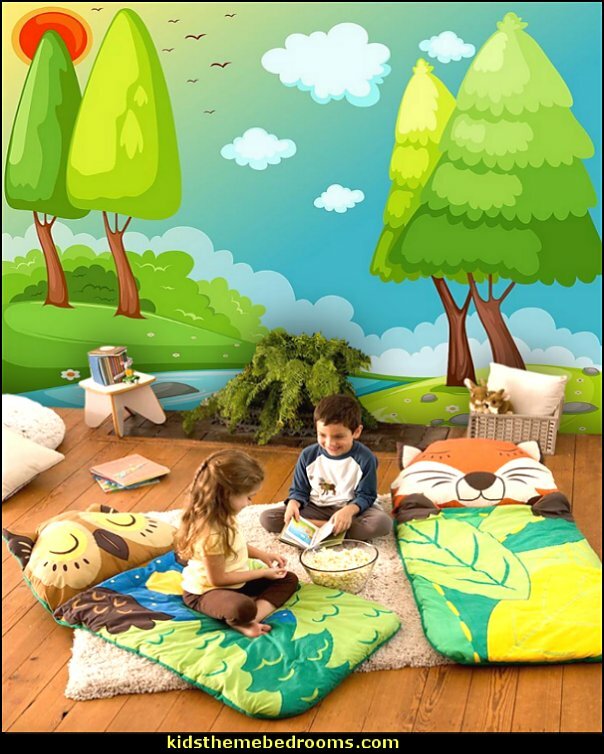 Forest Friends 5 Piece Toddler Bedding Set will help you create an incredible room for your child. 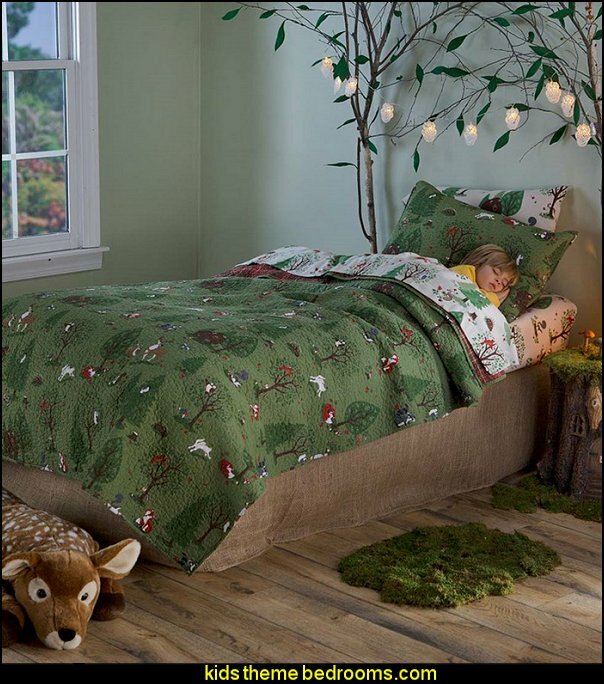 This bedding set features detailed appliqués and embroidery works of raccoons, owls, deer, foxes, and squirrels. 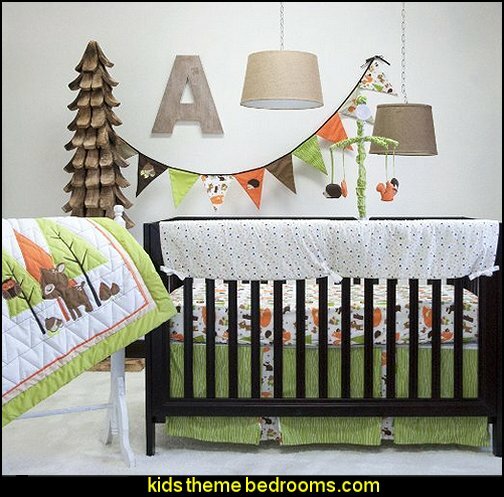 This collection uses the stylish colors of green, orange, brown, yellow, and buff. 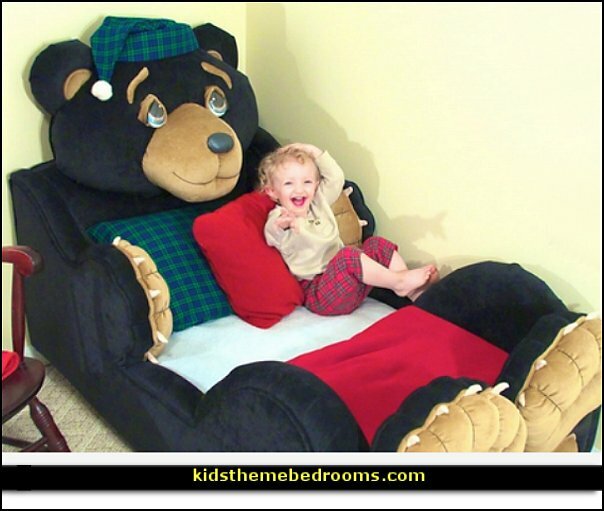 The design combines cotton, micro suede, and corduroy fabrics that are machine washable for easy care. 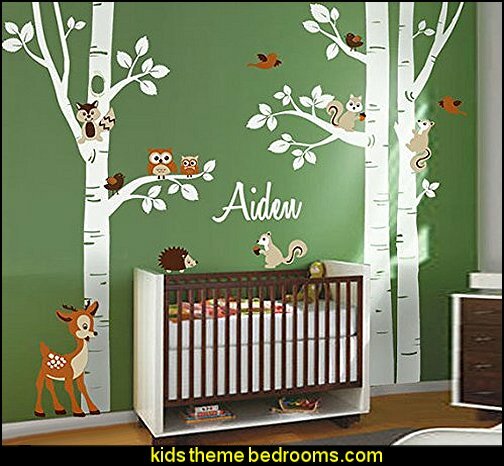 This wonderful set will fit all crib and toddler beds. 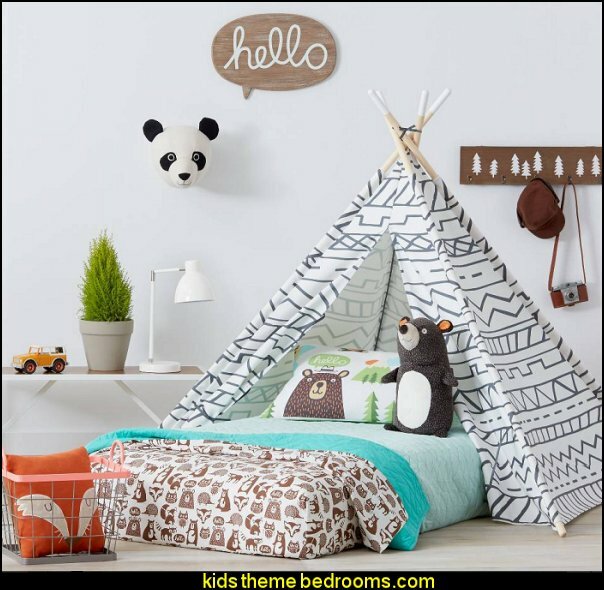 Toddler Set Includes: Comforter, Pillow Sham, Fitted Sheet, Flat Sheet & Pillow Case. 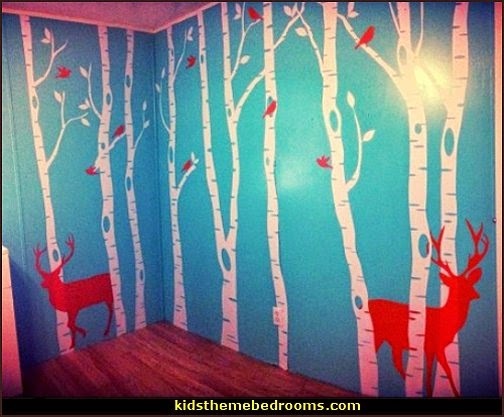 Bored of painting walls? 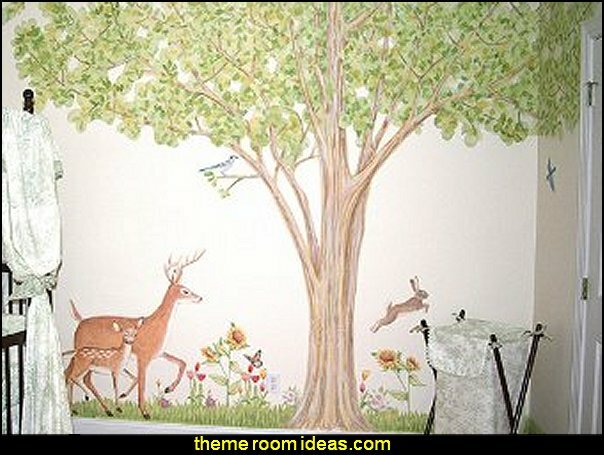 .... using stencils and putting up wallpapers can make the task of painting easier ... or ..... decorate with fun wall decals and stickers. 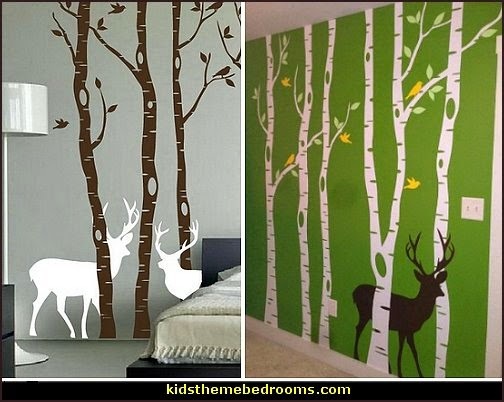 Trees, Snow, Leafs, Birds and Deer can be arranged any way you want to create your own forest scene.